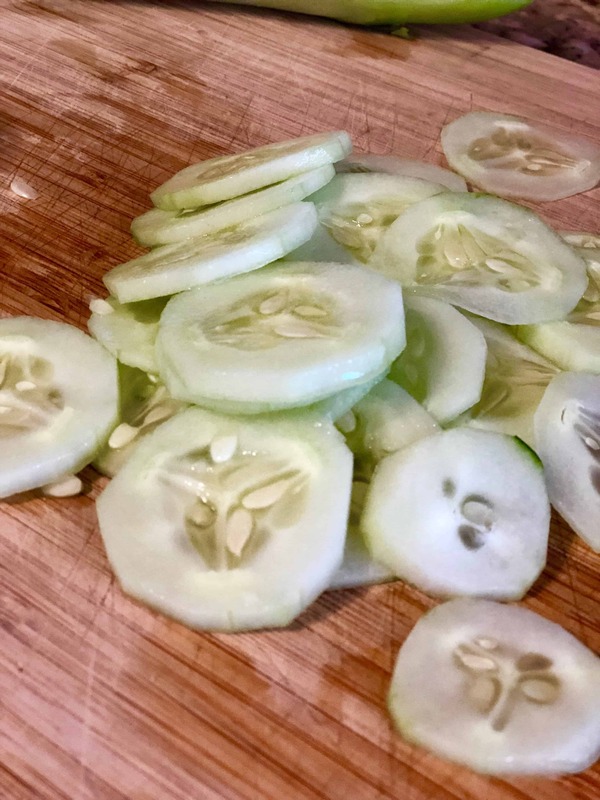 Easy cucumber salad is something I grew up eating. This salad was on my grandmother’s table as well as my mother’s. They used to make it with Sweet & Low, but I’ve adjusted the recipe to use a couple of packets of Truvia. I have many good memories of backyard picnics with cucumber salad on the table. Of course there were other staples. There were pierogies (I really need to post that recipe at some point), traditional nut roll, and kielbasa. Kielbasa on the grill. 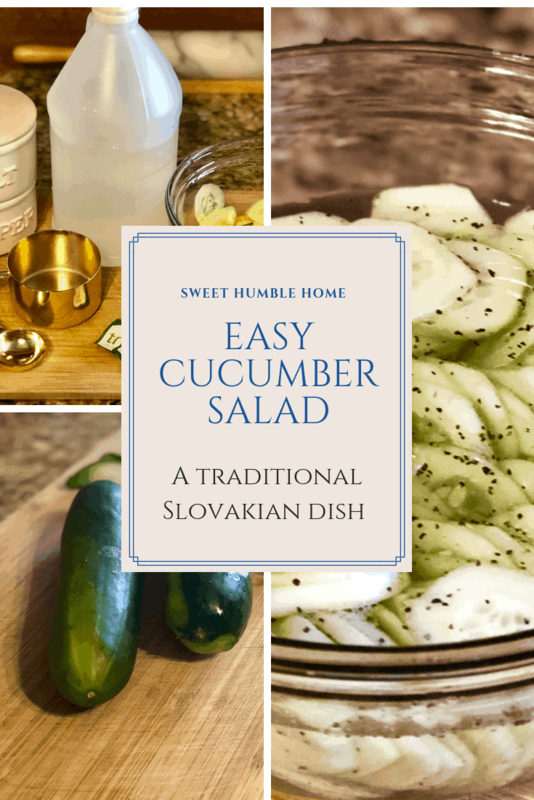 Now there’s a treat – especially with this cucumber salad on the side! You can learn more about the foods of Slovakia through this link! The website, Slovakcooking.com talks about all sorts of different Slovakian dishes. I encourage you to take a look! 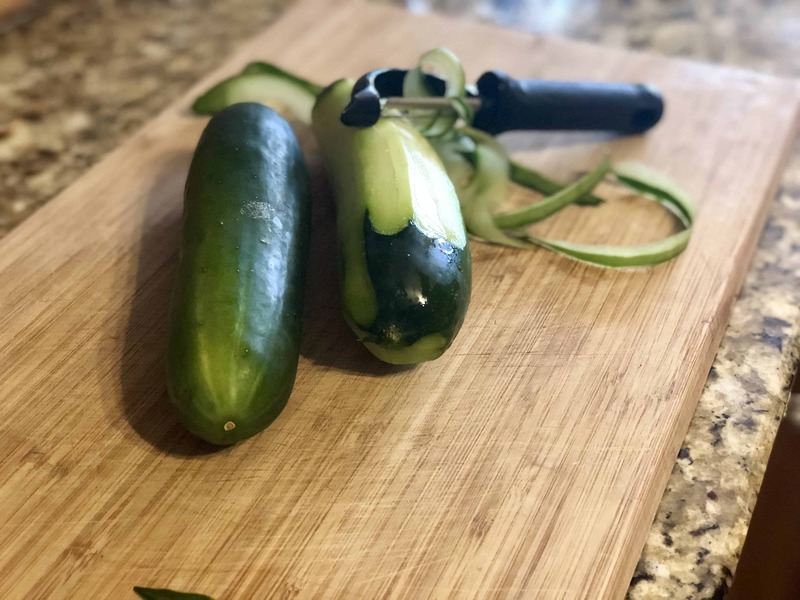 Slice your cucumbers into thin slices. Mix well 2 cups white vinegar, 1 cup cold water, 1 tablespoon ground pepper, 1/2 tablespoon salt, and two packets of Truvia. Add the cucumber slices and refrigerate for one hour before serving. 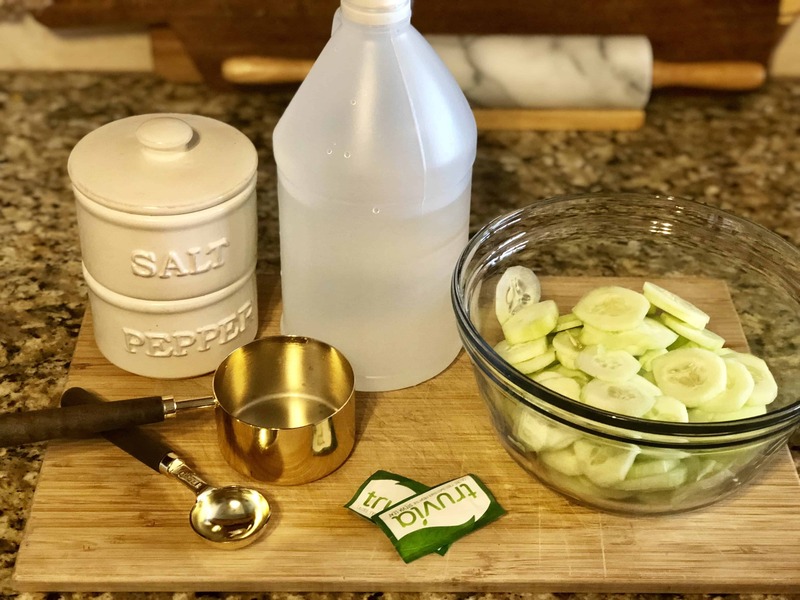 Serve this easy cucumber salad alongside virtually any dish from meatloaf or pot roast to Skillet Chicken Cordon Bleu. This dish isn’t just for picnics any longer! I bet it becomes a regular at your table as well!